For those homeowners who are extremely handy around the house, it can be tempting to try and perform major home repairs in a DIY manner. While some home improvement projects can be easily completed by the amateur, others should be left to the professionals. When you are renting tools for your next project, you may want to ask a professional contractor about any safety considerations that you need to keep in mind. Let’s take a look at three home improvement jobs that should always be performed by a licensed contractor. In the event that your home is in need of electrical repairs, you will want to be sure to get in touch with a licensed electrician. Your home’s electrical system can cause serious accident or injury if it is not repaired correctly. An improper electrical circuit connection or faulty wiring can fry your circuits or ruin your appliances. Any home improvement project that involves climbing on your roof should be performed by a professional. Licensed roofing contractors will use all of the safety equipment that is required to prevent slips and falls from the top of the roof. 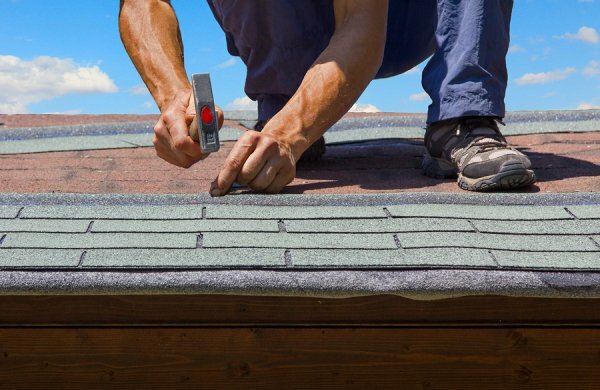 To avoid the dangers of personal injury, you will want to hire a contractor to work on your roof. When you are performing major home improvements, you may plan on knocking out a wall or performing other structural changes to your home. Since structural changes can compromise the integrity of your house, you will want to always leave these repairs to a team of professionals. Your contractor will know how to keep your house supported while you are moving or adjusting walls and beams. When you are in need of new equipment for your home improvement project, be sure to get in touch with A Tool Shed by calling (800) 286-6574. Our San Jose tool rental company offers all of the rental equipment that you will need to perform a variety of repairs in your home. Our team looks forward to helping you find the right tool rentals for your project. When you rent a lawn mower from a rental equipment company, you will want to provide your equipment with routine maintenance. This video demonstrates some of the basic steps of lawn mower maintenance. After disconnecting the spark plug, you will be able to gently clean the engine’s cooling fins. In order to ensure the best performance from your lawn mower, you may also want to replace the spark plugs. If you are seeking high quality equipment for rent in San Jose, look no further than A Tool Shed. We specialize in renting tools and equipment to homeowners and contractors, and we can provide you with the machinery that you need to take care of your lawn. For more information about our inventory of tool rentals , call us at (800) 286-6574. What Tools Do You Need to Install Hardwood Flooring? If you have been dreaming of having luxurious hardwood floors throughout your indoor spaces, now may be the time to plan an installation. With rental equipment and a few special tools, you will be able to install new hardwood flooring on your own. Before you start the installation process, you will want to gather all of the tools that will be required for the job . Here is an overview of some of the tools that you will need to install hardwood flooring. Power saws are important tools that can be used throughout the hardwood flooring installation process. With a compound miter saw or jig saw, you will be able to cut your hardwood floor planks into the appropriate size and shape for your room. Other cuts, such as door jamb cuts, must be performed by a specialty tool that is known as a jamb saw. Today’s hardwood floor installation professionals rely on pneumatic tools for securing nails into floorboards. When you are gearing up for your hardwood flooring project, you may want to consider renting a pneumatic nail gun. Using the power of air compression, your pneumatic nailer can save you time and effort during your procedure. Hardwood flooring installations require exacting precision. In order to make sure that your subfloor and final flooring installation are level, you will want to rent specialized leveling tools from your equipment rental center. Your leveling tool will provide you with a precise reading of any slant or dip that is located in your floor. To get started on your hardwood flooring installation, get in touch with A Tool Shed to reserve the necessary equipment. Our San Jose equipment rental center offers a complete range of rental tools that you can use for your hardwood floors. If you have questions about the types of tool rentals that you will need for your project, give us a call at (800) 286-6574. Are you a homeowner wondering what items you need for home maintenance? 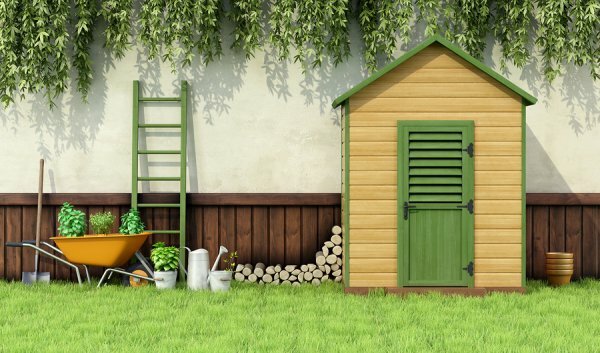 If so, then read on to learn about what tools belong in your shed. Loosening and tightening screws are tasks that every homeowner can expect to do on a fairly regular basis. For this reason, you’ll need a Phillips screwdriver. These screwdrivers have an x-shaped tip and come in a variety of sizes, but you can also choose one with interchangeable tips to handle a wide range of screw sizes. Next, you’ll need a flathead screwdriver, which has a straight narrow tip. To handle most jobs, a set that includes a small, medium, and large flathead screwdriver should be sufficient. If you don’t already own a hammer, then this is a tool that deserves a place in your shed. Hammers can be used to pull and pound nails as well as tap things into place and as a crowbar. Also, pick up a nail set, which can be used to push nails below a wood surface so they can then be covered with putty to disguise their presence. A good tape measure is another must-have for every homeowner’s tool box, and it can be used for everything from measuring a space for new furniture to calculating floor plans. Also, investing in a level is a smart choice that prevents the need for you to eyeball how level an object is. Finally, consider adding a combination square to your set of new tools, which is a great tool for verifying angles and measuring depths. There are a few more important tools that you should think about adding to your tool box. These include a C-clamp, flashlight, and step stool or ladder. Also, you can’t go wrong by having an extension cord, power drill, pliers, and an adjustable crescent wrench. A Tool Shed Equipment Rentals has a broad variety of new and used tools for sale in San Jose. If you’re ready to add a few essentials to your tool set, then give us as call today at 1-800-286-6574 to learn more.